Church Splits from Australia’s Largest Pentecostal Group. Hillsong Church is a contemporary Christian church that was founded in 1983 by Brian and Bobbie Houston in Sydney, Australia. Today the movement has churches in 21 countries including U.S. locations in New York City, New Jersey, Boston, Connecticut, Los Angeles, San Francisco, Orange County, and three locations in the Phoenix area. The average global attendance for Hillsong is approaching 130,000 individuals each week. Hillsong Church has always been associated with the Australian Christian Churches (ACC), a branch of the World Assemblies of God Fellowship. This group is the largest Pentecostal denomination in the world with almost 1,100 churches and over 250,000 believers across Australia. In a recent letter addressed “To Whom It May Concern,” Brian Houston, the Global Senior Pastor and founder of Hillsong Church, wrote to announce “a proposed change to Hillsong Church’s relationship with the Australian Christian Churches (ACC).” The change was the result of “almost two years of prayerful discussion within both our global and Australian church boards” and was made in cooperation with the ACC National President, Wayne Alcorn. Houston has been a part of the ACC since he was five years old. He has held a credential in Australia with the AOG/ACC for forty years, served as a NSW State President for six years, and was a National President for twelve years. “I love the ACC,” he says. “As Hillsong Church has continued to grow, we no longer see ourselves as an Australian Church with a global footprint, but rather a Global church with an Australian base — our global office now resides in the USA.” He goes on to explain that the majority of worshippers who attend Hillsong Church live outside of Australia. “We have pastoral staff in twenty-four nations around the world, representing 123 campuses and locations, with 263 different church services on any given weekend. We consider it to be ‘One House, with many rooms,'” Houston explained in the letter. With this expansion in mind, Hillsong felt it was essential to have the ability to credential their own pastors and structure their church with its own global progress in mind. “For this reason, we are now registered by the Australian Department of Births, Deaths, and Marriages, as a recognized denomination with the ability to credential pastors in our own right,” states Houston. This means that Hillsong Church now has the ability to handle concerns and issues that may arise in campuses outside of Australia, where the ACC could not be expected to have the knowledge or resources to appropriately handle the situation. Alcorn sent an email to the ACC pastors, according to Eternity News, to announce the split. “Recently Hillsong Church advised its desire for a change in its relationship with the ACC. In a way, this can be likened to a child who has grown up and now has a larger life outside the family home,” he wrote. 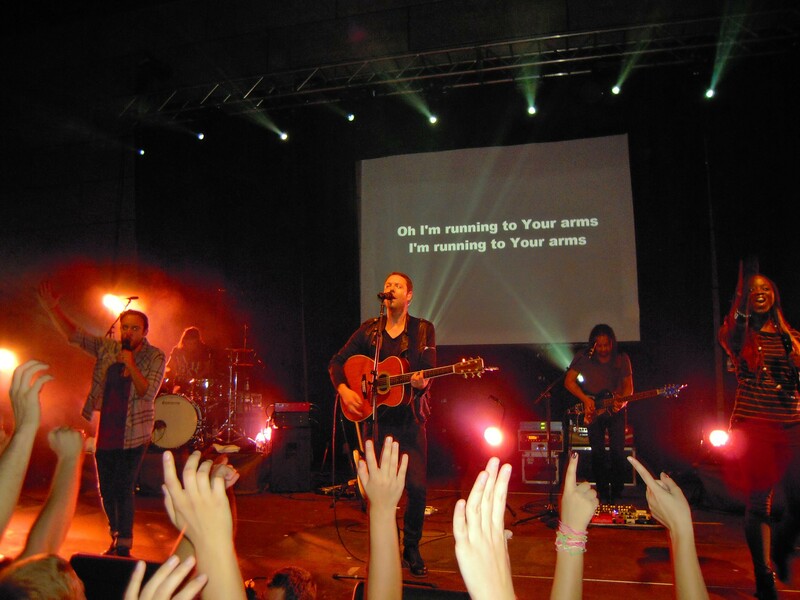 Hillsong is known worldwide not only for their services, but also for their songs. Hit recordings from Hillsong include Broken Vessels (2014), What a Beautiful Name (2016), and most recently, “Who You Say I Am” (2018).